Shortly after Our Lady of the Sacred Heart and Assumption Academy in Walton, Kentucky, reported 32 cases of chickenpox at the elementary school, a high school student filed a lawsuit against the Northern Kentucky Health Department, claiming it had directed Assumption Academy to bar him from participating in extracurricular activities because he had not received a vaccine. School and health officials have been working to contain the outbreak since February, said Dr. Lynne Saddler, the district director of health for the Northern Kentucky Health Department. According to the suit, which was filed in Boone County Circuit Court, 18-year-old Jerome Kunkel's battle with the health department started then. He and his parents had always declined the vaccine because of his conservative Catholic faith. Although the modern chickenpox vaccine does not contain any fetal tissue, it and several others were developed in the 1960s using cell lines derived from a pair of aborted fetuses. “Among other fundamental and deeply held religious beliefs of Mr. Kunkel, and the beliefs of his family, is that the use of any vaccine that is derived from aborted fetal cells is immoral, illegal and sinful,” the suit reads. The first case of chickenpox at Our Lady of the Sacred Heart Elementary School, which was detected in mid-February, spurred the Northern Kentucky Health Department to inform the parish that its students could not participate in or attend extracurricular activities unless they were found to be immune from the virus, according to the suit. Students subsequently not found to be immune, including Kunkel, were then barred from extracurriculars. The lawsuit alleges the health department’s epidemiology manager made derisive comments about Kunkel's faith and enacted the ban due to a specific religious animus. Later, when additional cases of chickenpox were discovered, additional bans were enacted. In an email cited in the suit, the epidemiology manager describes them as being for the protection of the public. By Friday, the health department had announced that all Sacred Heart and Assumption students without proof of vaccination or proof of immunity will not be allowed to go to school until 21 days after the onset of rash for the last person to have chickenpox. All games, events and activities are also canceled until 21 days after the last person is infected. Kunkel's lawsuit alleges these actions are infringements on his right to freedom of religion and expression. It seeks to end the bans and recoup legal costs. 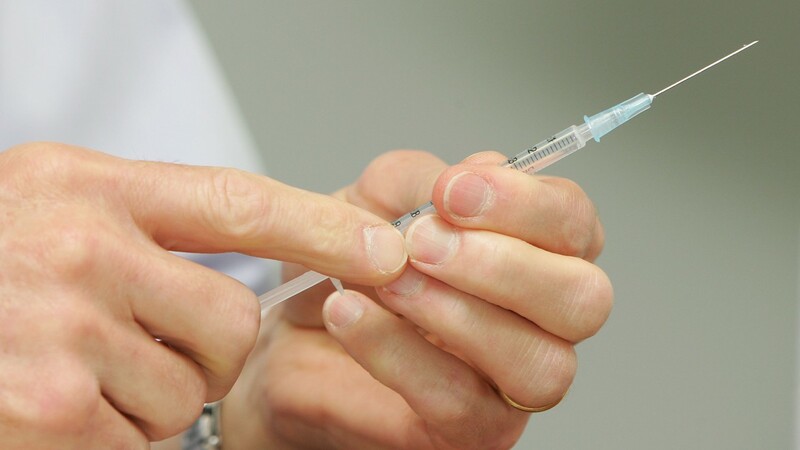 Instances of people abstaining from certain vaccinations based on anti-abortion religious beliefs rather than medical concerns date back to at least 2005, when the Pontifical Academy for Life released a study weighing the religious morality of Catholics using them. It conclude Catholics should push for the development of new vaccines with different origins but "this important battle cannot and must not fall on innocent children and on the health situation of the population — especially with regard to pregnant women." You can contact your doctor or click here to see where you can get a vaccine.